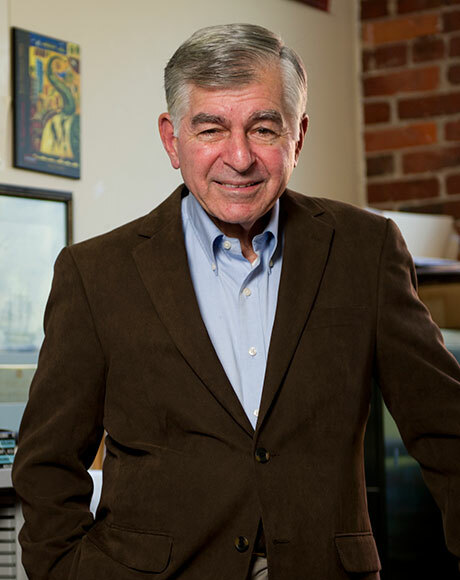 Following a quarrelsome election season, Former Massachusetts Governor and 1988 Democratic party presidential candidate Mike Dukakis joined us for a quick talk about the state of our union. Calling in from Boston, where he is currently teaching at Northeastern University, he and Stevoe discussed the media’s role in this year’s presidential election. Host of TideSmart Talk with Stevoe, Steve Woods, welcomed former Massachusetts Governor Mike Dukakis (photo courtesy of (northeastern.edu). When asked if media focused more on buzzworthy segments or articles this election season, Dukakis said he thought the press was “gullible” this time around. While, some news outlets were obviously not bi-partisan, they did seem to focus more on ratings and more “reality” style television/media than reporting facts.The media during the last several months seemed unruly, but Dukakis pointed out that historically it wasn’t much better. In regards to Americans voting in a similar fashion as the Brits with the “Brexit” vote, Dukakis said that we can’t be surprised and that many media outlets reported almost literally, “This could happen to us.” He encouraged listeners to take this opportunity to observe and learn from this election (which we now know didn’t have nearly the voter turnout as expected) and to not repeat history. Dukakis is hopeful that the President-elect will be a good leader and that all we can do now is to “be good Americans.” He doesn’t know how likely it is that Mr. Trump will follow through with some of his promises (e.g. building the southern border wall), but unfortunately we’ll have to just wait and see. To hear the entire interview, please play the file below. Posted on Tuesday, November 15th, 2016 and filed under Show Recaps.